I am trying to use the following chapter style for Arabic language. My following code works perfectly for English only, and produced the following output. %It works for English (without polyglossia ). However, if I enable Arabic Language it will not work. UPDATE:: I have tried an answer which made it show up. However, There are still two issues: 1. 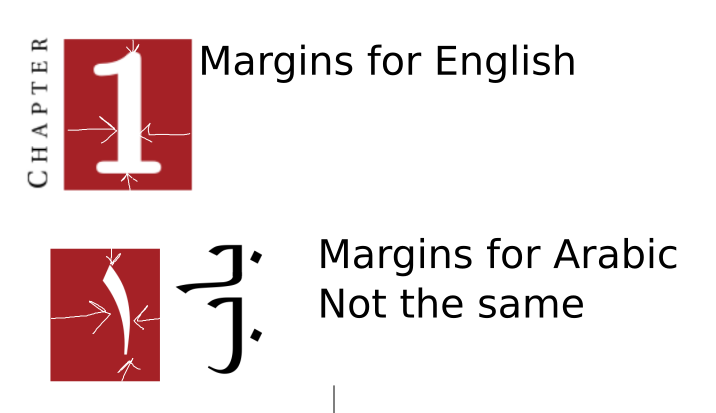 The spacing for the number in the red box is not the same as for English (I mean left right upper bottom margins) 2. When I add appendices the red box appear in different sizes. You have to define a serif and a non-serif font before you invoke polyglossia. 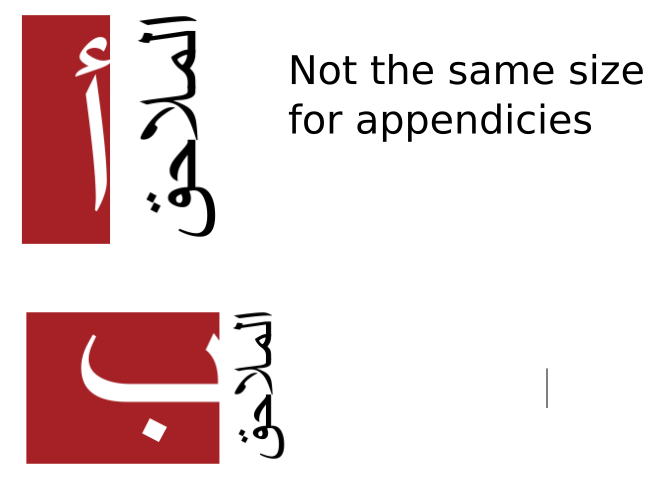 Further, you want to get rid of \scshape\so in the chapterstyle since it doesn't have any meaning in Arabic. Then it compiles like a charm. To the first issue: You have to align the chapter number in the middle with the fboxsep set to zero for the colorbox and an adjustbox with a cframe around. For the second "issue": it is not an issue actually, it is perfecly normal. The red box is around the chapter number, if the chapter number is more long than large, so will be the box and vice versa. In latin scripts, numbers and capital characters have regular sizes, this is not the case in arabic. This chapter style is for latin script and was not designed for arabic script: it is totally normal, that it looks weird then. 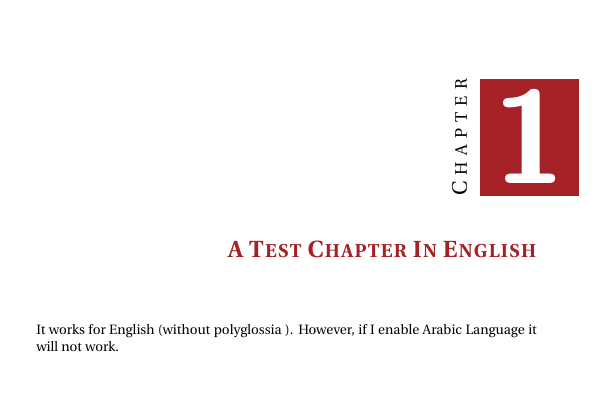 You should consider switching to a chapter style designed for arabic script or write your own. Not the answer you're looking for? Browse other questions tagged memoir chapters polyglossia arabic or ask your own question. Bibliography style per language with biblatex/polyglossia?